Start of the transat for Albatros, one of our Challenge 67. Heading first to Madeira, then to Le Marin in Martinique. 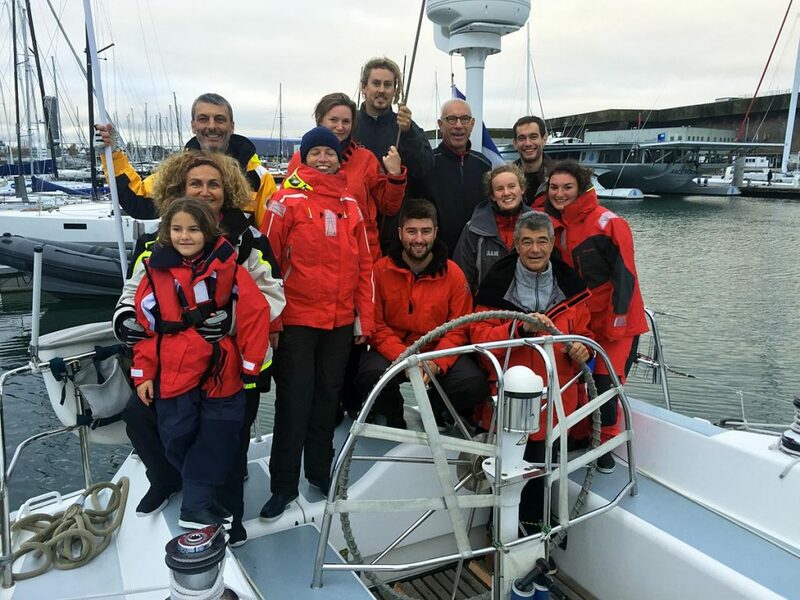 It’s at 4PM that Albatros left the marina in Lorient La Base (Brittany) on Saturday the 12th of November, cheered by crew’s friends and families. Bravo to Nathalie, Cécile, Marguerite, Elisabeth, Yael, Jules, Felix, Gérard, André and Claude for their first Atlantic crossing, with Captain Louis and Laurianne as second-in-command. Albatros headed to Madeira, the first leg, with fair wind conditions, N/NW, that should allow direct route and sail there within 6 to 7 days. From lorient to Le Marin, you have about 3500 nautical miles. It’s a real adventure, an endeavour of a life that all crew members are going to live for 28 days on board one of our Challenge 67, 21m monohull that were built to race round the world yacht race against prevailing wind.